We are available weekdays 9am-6pm and other times by appointment only. 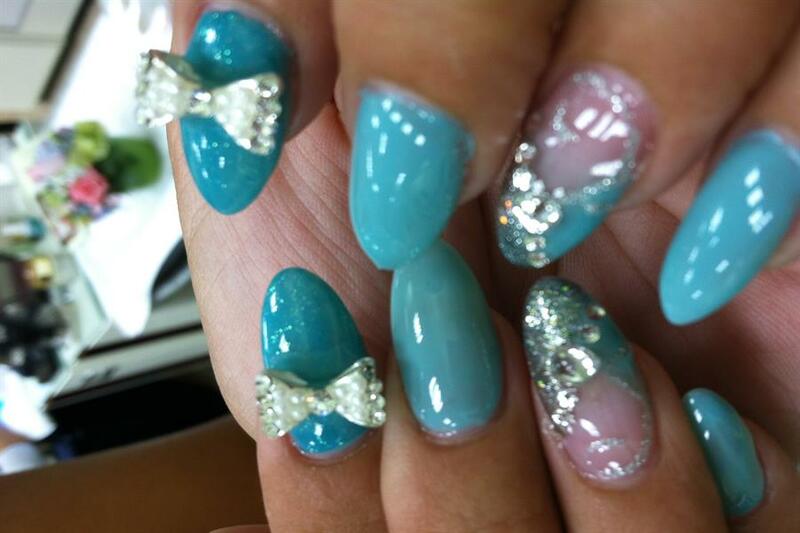 You are welcome to use our online booking for appointments at least 2 days out. 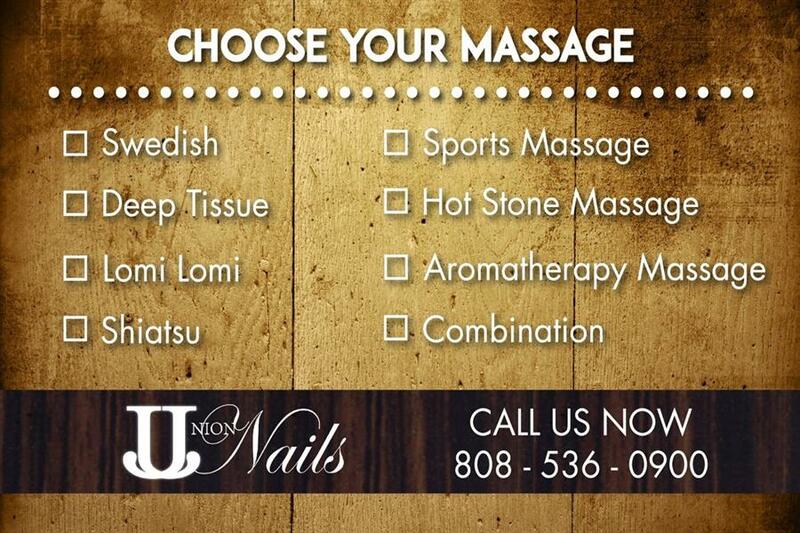 If you would like to make a same-day appointment, please call us >> (808) 536-0900. Get your nails shaped and buffed with cuticles pushed, followed by your choice of polish or buff shine so you look good on the go. 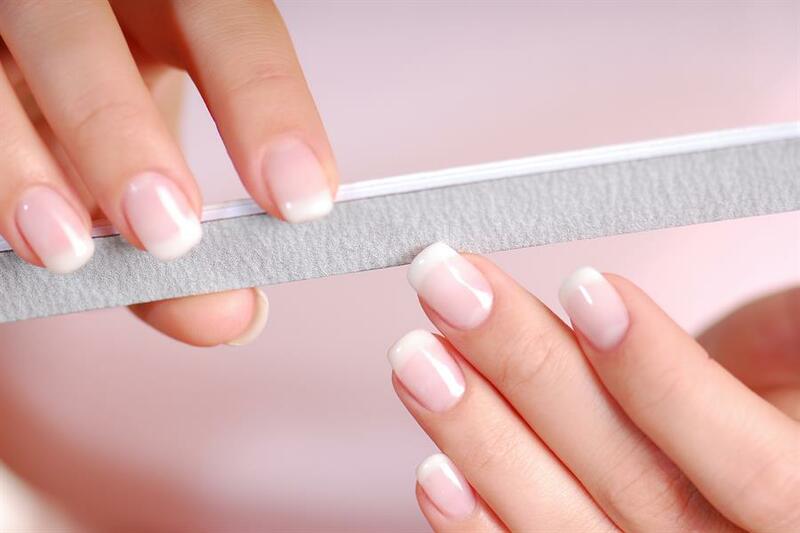 Get a quick fix for your toes with your nails shaped and buffed, cuticles cleaned, and heels scrubbed followed by your choice of polish so you can be on your way. 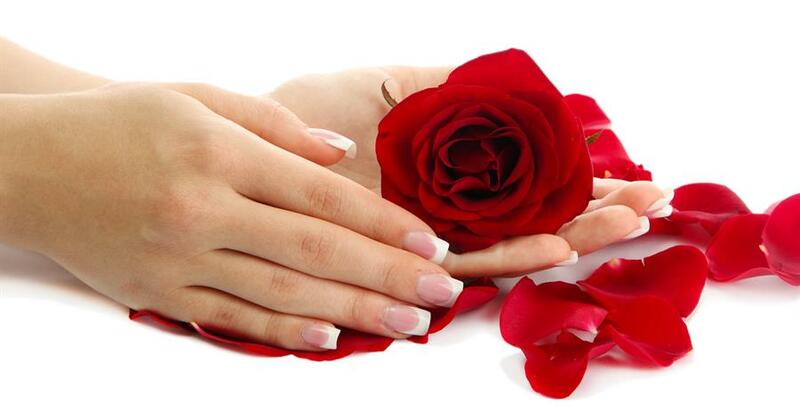 Get your finger nails soaked, trimmed, shaped, buffed, with cuticle care, hands massaged with moisturizing lotion, and hot towel application complete with your choice of polish. 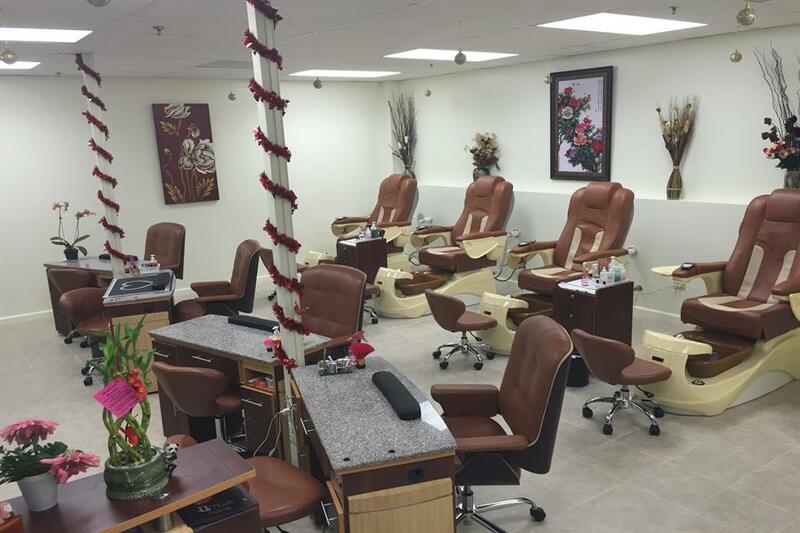 Get your feet soaked in warm, jetted spa and nails trimmed, shaped, buffed with cuticle care, Callous Treatment, Mint Scrub Exfoliation, leg & foot Massage with deep hydrating lotion, and hot towel application finished with your choice of polish. Get our Classic Manicure plus Exfoliating Sugar Scrub as your hands are dipped in our warming & moisturizing Paraffin Wax for arthritic pain and stiffness relief or our Cooling Mask Wrap, leaving your hands cool and smooth. Get our Classic Pedicure plus Extra Massage with fine Exfoliating Sugar Scrub as your feet are immersed in our heated Paraffin Wax that sooths joint pain and muscle stiffness or our Cooling Mask Wrap that revitalizes your achy, tired feet. Immerse your tired feet in a warm, soothing Epsom salt foot bath to flush toxins and ease pain, as you recline and enjoy a shiatsu style back massage. Give yourself the gift of a professional foot rub to relieve your aching feet and decrease stress while improving your overall feeling of vitality. Settle in as you are massaged while fully clothed to save time for more massage on your neck, shoulders, back, arms, and hands as a perfect escape from work. Experience the healing power of a non-invasive modality which creates deep relaxation and stress relief as this subtle energy work clears away blockages and raises your vibration. Get the best of multiple massage styles which our therapists specialize in so that you can receive a customized massage session which will leave you feeling refreshed. Relax your entire body with long gliding strokes, kneading, circular movements, and tapping to relieve muscle tension which can be both relaxing and energizing. Receive slower, more concentrated pressure which targets the deeper layers of muscle and tissue to break away tension, improve circulation and rejuvenate the body. Improve your natural energy flow as pressure is applied with fingers, knuckles, thumbs, and palms in a continuous, rhythmic sequence which relaxes and balances the body. Promote harmony in your body as you receive this traditional Hawaiian massage which consists of long, flowing, continuous loving strokes which increase vigor and vitality. Reach peak performance as an athlete or active person by having focused massage on areas that are strained from overuse to prevent/treat injuries and lessen pain. Alleviate the discomfort and stress caused by physical changes during a pregnancy with a customized massage which benefits both mother and unborn baby. Relieve aggravating aches and referred pain caused by myofascial trigger points by releasing these constricted muscle knots with isolated, localized compression. Sooth and relax muscles as hot stones are used to transmit heat deep into the body to increase blood circulation, ease chronic pain and loosen stiffness. Balance your body, mind, and spirit with essential oils which offer benefits including stress reduction, pain relief, enhanced mood, and overall sense of well-being. Secure your series of four 60 minute full-body & specialty massages so that you can experience feeling good whenever you want (at a deep discount). New to massage? Choose and experience five of our 60 minute full-body & specialty massages so you get a distinct feel for what each massage therapy does for you.